One-day symposium print within expanded practice. Invited artists will be presenting their unique practice and how they encounter and interrogate print as part of their wider practice. This project is centred around the archive of the late Gwyneth Alban Davis whose press is currently being re-housed at Artlab on long-term loan. The project aims to make available this fantastic resource to a selected group of National and International female artists, who will be invited to interact with her archive – and with the studios at UCLan. 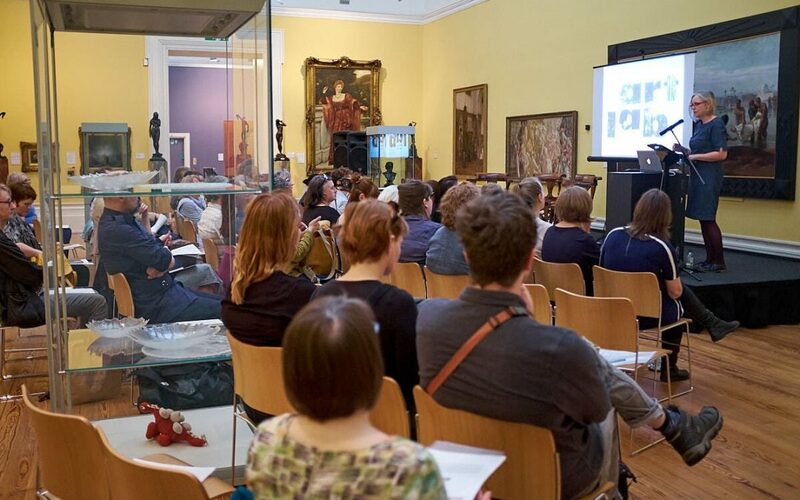 For the first part of this project we are inviting artists to a one day symposium at The Harris. Invited artists would be presenting their unique practice and how they encounter and interrogate print as part of their wider practice. Central to this will be the involvement of Typ-ooo North (a collaborative print collective comprised of Lukas Hornby and Heather Ross) whose 2017 project ‘Making Visible The Archive of Gwyneth Alban Davis’ involved the cataloguing, restoration and re-printing of Gwyneth’s archive and the production of a book of essays and prints. They will be discussing their experience with the press and archive and showing the re-printed archive. Speakers at the symposium will include: Lukas Hornby (Bradford) and Heather Ross (Preston) Tanya Engelberts (Hague), Catriona Leahy (London), Karen Davies (London) and Anna Júlía Friðbjörnsdottir (Iceland) ) & Małgorzata Warlikowska. The aim of this project is to promote the new archive at UCLan; foster new relationships with International/National female practitioners and to generate a new archive of contemporary prints for the Artlab CPS Research Centre.